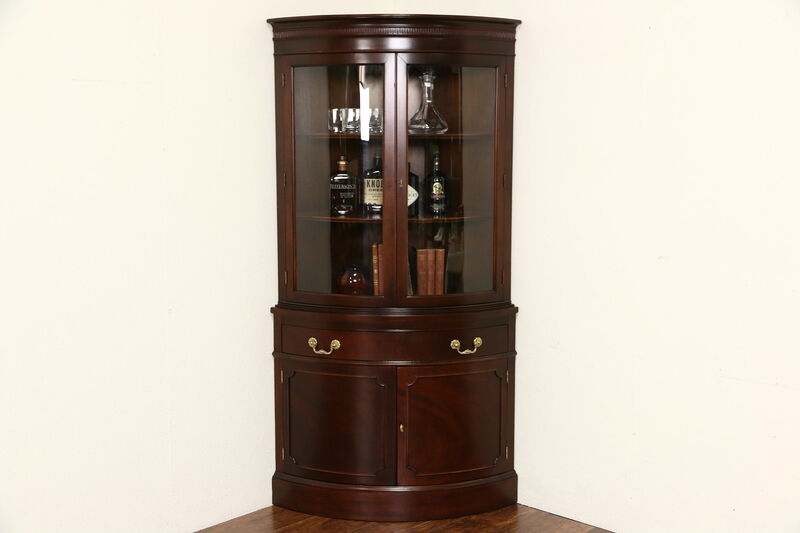 About 50 years old, this traditional Georgian design corner cabinet is signed by famous maker, "Hickory," and has original curved glass doors. The restored polished finish is in very fine condition on matched mahogany, shelves have grooves to display plates. Embossed hardware is original on this American made vintage furniture. Size is 35" across the crown tip to tip, 26" deep from the corner of the room to the front tip of the crown and 69" tall.